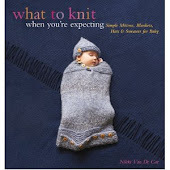 What To Knit When You're Expecting: Knitting AND sewing! Hi there! Remember me? I haven't been posting because I have been very, very busy. Mostly with non-crafty things, but I did squeeze in some! This is my handspun, which is now back on my lap, and is slowly turning into honey cowl. Very, very slowly. So many knitters have knit it that I thought, hey, it must be fun, and though I am not especially a cowl person, it sure does look pretty in that photo. But oy. It is taking me a hundred thousand years, and it is so. boring. 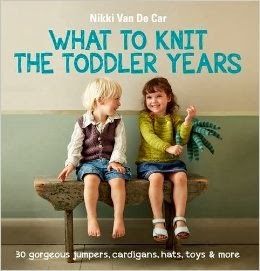 Even the interest of the yarn isn't enough. So given my boredom, I have cast on two other projects--another bandwagon, Hitchhiker, as a gift for a friend who brought me much yarn from Skye. It too is a bit boring, but Shilasdair is worth it. And then I'm also starting a much-requested pattern for a Grown-Up Maile sweater--it shouldn't take me long. Expect the pattern before the Fall. And there is sewing! 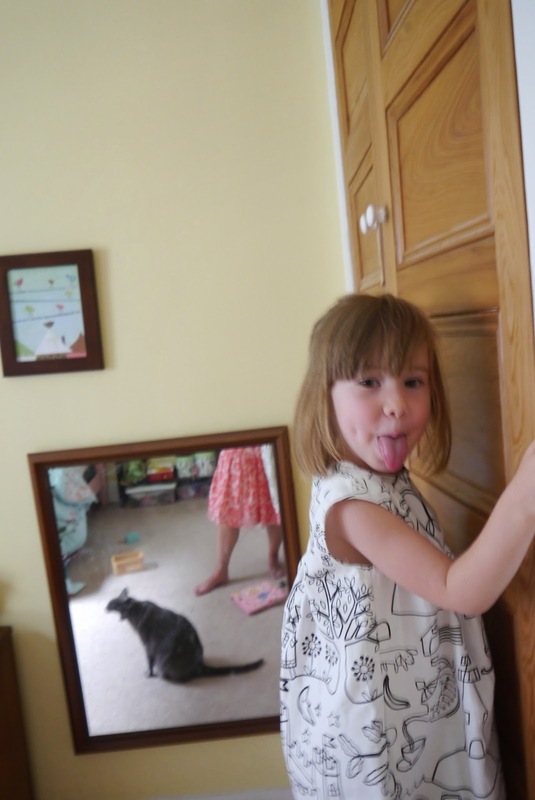 I sewed Willow a dress, but my ever-faithful model turned bashful and is hiding behind her closet so you'll just have to kind of imagine it. The sleeves were supposed to be puffed, but by the time I got to them my mom had gone home and so I was lost in the tall grass. No puffed sleeves. Still! 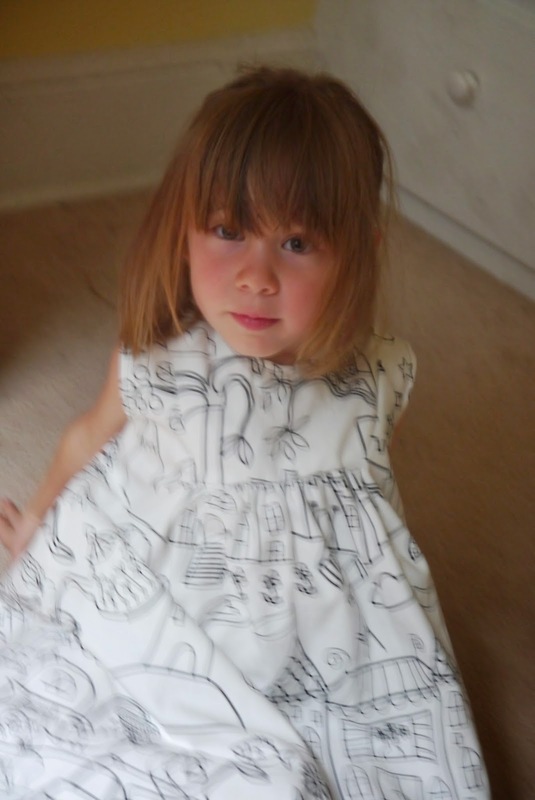 A completed, you can actually wear it places dress! And she loves it, oh how she loves it. And I love it too. The fabric is so sweet! 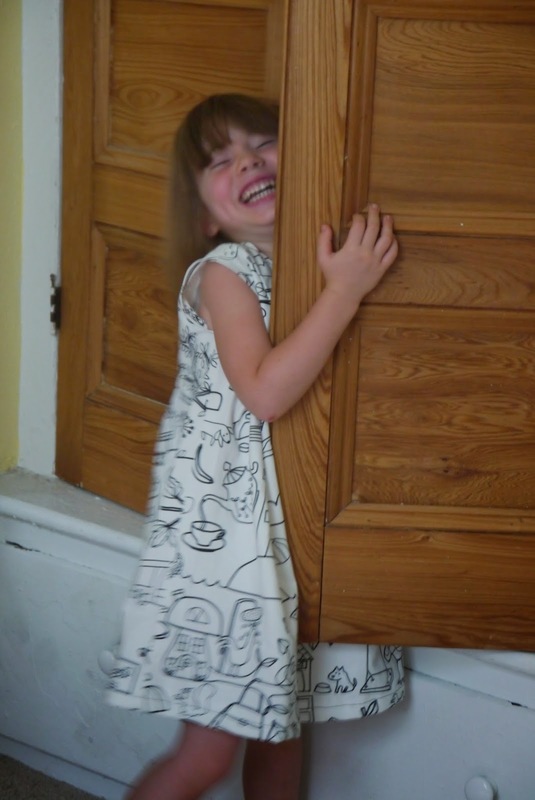 A gorgeous dress... and such a lovely feeling to see your first it can really be worn out and about and I made it all myself dress!